Marion Lancaster was born on November 6, 1938 in Sterling, Ok to Floyd and Marie Lancaster. He was the oldest of five children. Marion graduated from Comanche High School in 1957. On April 10, 1959 he married his high school sweetheart, Lucinda Head. Marion worked for DX/Sunoco for 40+ years. 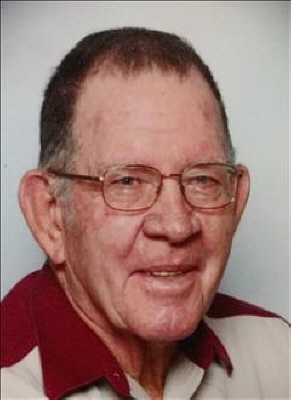 He enjoyed carpentry, working outdoors, fishing, hunting, camping, and spending time with his family. He passed away peacefully at Wilkins Nursing Home on Wednesday March, 27, 2019 with family and loved ones at his side. Survived by his wife of nearly 60 years, Lucinda Lancaster. Three children, Randy Lancaster and wife Carla of Spokane, WA; Gerry Lancaster and partner Tom Murphy of Franklin, NE; Karen Collins of Duncan, OK. Also survived by brothers Vernon Lancaster and wife Jan of Tulsa, OK; Bill Lancaster and wife Linda of Wister, OK; sister Florita Lane and husband Rick of Velma, OK; and brother-in-law Glenn Little of Duncan, OK. Grandchildren Randy Lancaster Jr. and wife Sandra of Eagle Pass, Tx; Wayne Kelly and wife Katelin of Guam; Parker Lancaster and wife Vanessa of Spokane, WA; Megan Collins and husband Joshua of Inman, KS; and Katelyn McMullen and husband Zachary of Comanche, OK. He is also survived by 9 great-grandchildren and many nieces and nephews. He was preceded in death by his parents, Floyd and Marie Lancaster and sister Oleta Little who joined him in death the same day. To send flowers or a remembrance gift to the family of Marion Loyd Lancaster, please visit our Tribute Store. "Email Address" would like to share the life celebration of Marion Loyd Lancaster. Click on the "link" to go to share a favorite memory or leave a condolence message for the family.